Kids big and small love ice cream! I understand that no two events are the same and that's why I can offer a free consultation on what the trike could offer for your party. The trike is available for hire for kids birthday parties, big adult birthday parties, christenings and sporting events. If you think you can have ice cream at it then we can be there. For kids parties we supply ice cream, monkey cones, tutti-frutti spoons, loads and loads of messy toppings! In conjunction with our friends at holly dolly mixtures we can also supply a candy cart or pre bagged sweets. Contact us for a tailored made quote, ice cream can be served inside and outside all year round!! Are you holding an event or function? 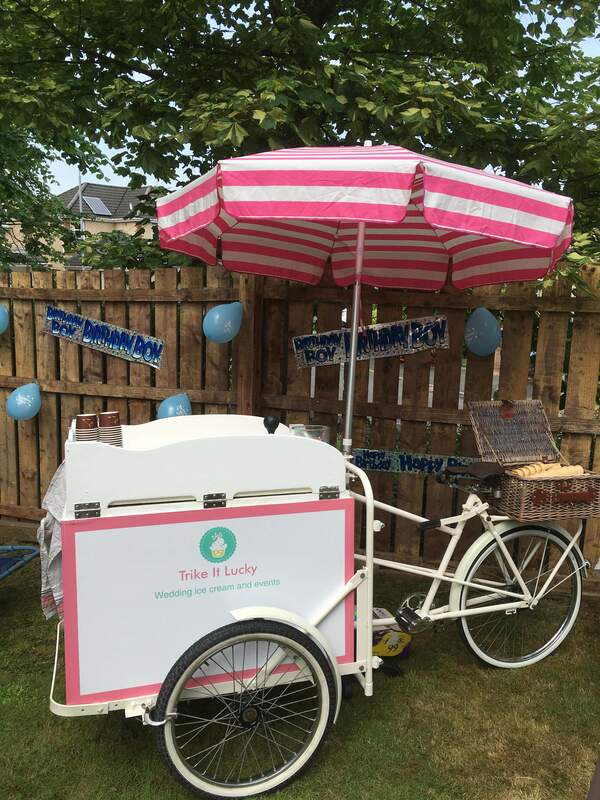 The trike is available for hire to dispense unlimited ice cream for a set fee or on a scoop by scoop basis. In our experience it is guaranteed to attract visitors, provides a brilliant talking point and will put a smile on everyone's face. Ice-cream is a great way of promoting any business or corporate function, it can keep staff motivated and provide an excellent ice breaker!! We have worked with some of the biggest banks, energy companies and independent businesses in Scotland in 2018 and can provide first class references.